JLG Forklift Parts - In the late 1960's John L. Grove, with his wife Cora started out on a cross country journey in their RV. Newly retired, after spending many years working with his brother to assemble their crane company into an industry leader, John had no idea that fateful trip would allow JLG Industries, Inc to emerge. The world leader of mobile aerial work platforms and precision material handling equipment was the end consequence of a road expedition. While on their journey, John spent time conversing with previous business acquaintances whom the Groves stopped to see along the way. These conversations combined with a tragic incident-two workers being electrocuted on scaffolding when the Groves were traveling to the Hoover Dam- John discovered a considerable marketplace for a product that could quickly and securely lift people in the air to accomplish upkeep and other building services. After returning from their holiday, John set up a partnership with two of his friends and obtained a metal fabrication business in McConnellsburg, Pennsylvania. Opening with a small crew of twenty employees, they produced and sold their first JLG aerial work platform in 1970. The business incorporates some of the basic design elements of that original lift into existing versions. 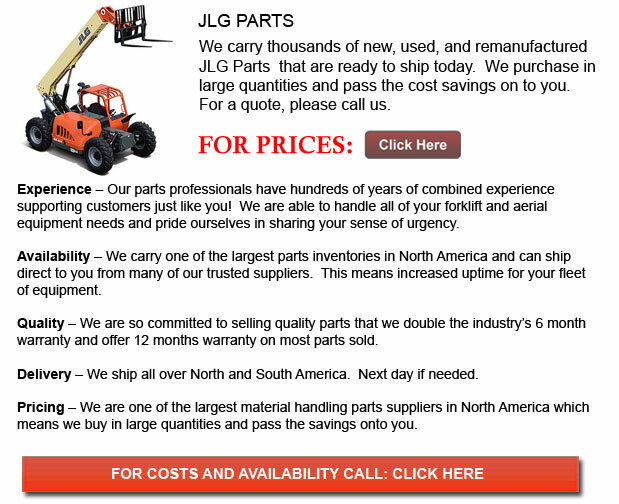 JLG forklifts have come a long way since Mr. John L. Grove returned to town from his cross-country road trip and since the initial aerial work platform debuted on the market. At present, the business proudly continues to expand itself into a range of marketplaces globally and develops new products to make certain consumers are capable of being more effective and perform in the workplace within a safer atmosphere.